From acting, to becoming a pop mega-star, Miley Cyrus career is the stuff of legend. Born in Tennessee in 1992, Miley had an early upbringing in show business thanks to her father, country singer Billy Ray Cyrus. At age 11, she attended an audition that would change her life. The audition was for Hannah Montana, a show on Disney Channel about an average teenage girl who led a double life as a pop star. Hannah Montana would go on to become one of Disney Channel’s biggest shows during its 2006-2011 run, and would turn Miley into a household name. 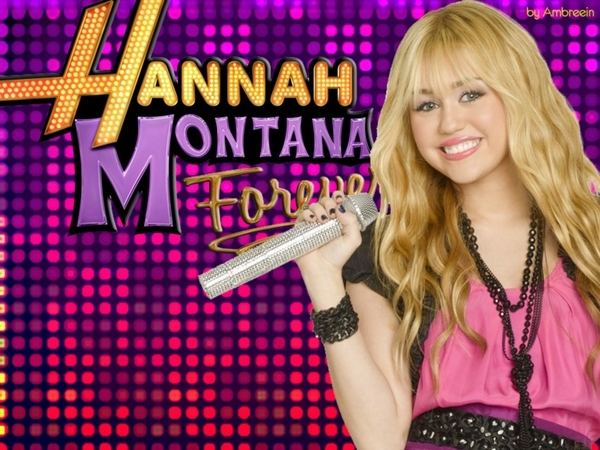 The musical component of Hannah Montana made it a logical choice for Miley to try on another venture: music. Her first album, 2007's Meet Miley Cyrus, was a compilation from the Hannah Montana soundtrack. It was followed by 2008's Breakout. By this time, Miley had become a pop superstar thanks to the success of her single, The Best of Both Worlds. Breakout was followed by Can’t Be Tamed, an album which everybody saw Miley distancing herself from the wholesome image of her Hannah Montana years. 2013's Bangerz marked the full transformation of Miley Cyrus from a Disney teeny-bopper to a mature artist. Teaming up with rap producer Mike Will Made It, Bangerz showcased an edgier, rap-influenced sound. The video for the single Wrecking Ball, which featured Miley swinging on a wrecking ball, would prove to be divisive to fans, as some felt Miley had strayed too far from her wholesome roots. However, the risk seems to have paid off, as Bangerz cemeted Miley’s position as a force to be reckoned with. Since Bangerz, Miley has focused her energies on increasingly diverse efforts, collaborating with alternative-rockers such as the Flaming Lips and speaking out on political issues. The evolution of Miley Cyrus throughout her career has been full of surprises. Her fifth album is still in process, but based on Miley’s past track record, fans can be sure to expect the unexpected!